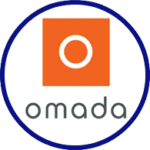 Omada Health is a digital behavioral medicine company that inspires and enables people to change the habits that put them most at risk for chronic conditions like heart disease and type 2 diabetes. Having pioneered digital therapeutics, the company is the largest CDC-recognized provider of the National Diabetes Prevention Program, and since its founding, has enrolled more than 150,000 participants. Omada’s program combines proven behavioral science, the power of professional health coaches and peer groups, connected technology, and world-class design to deliver clinically-meaningful results. The company operates on a pay-for-outcomes pricing model that aligns incentives between Omada, customers, and participants. Omada Health was named a 2016 Technology Pioneer by the World Economic Forum, and one of Fast Company’s Most Innovative 2017. To learn more, visit www.omadahealth.com.